If you have an iPad and would like XBMC installed on it then you will first have to jailbreak it, there are quite a few guides for this on the internet. When you have successfully jailbroken you iPad continue reading. 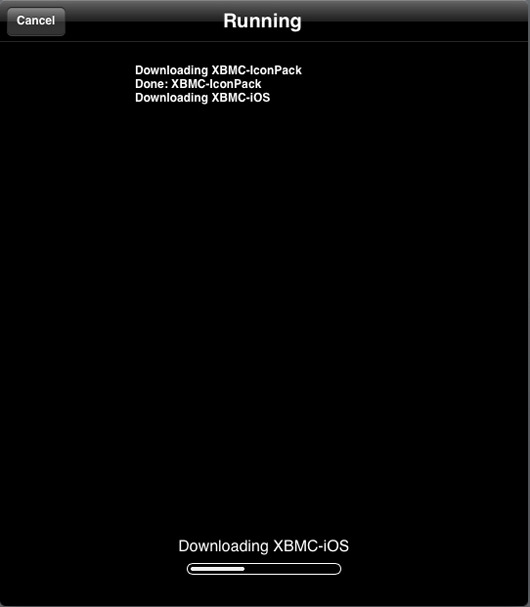 Installing XBMC for iPad from Cydia. Click on the Cydia icon on your screen. Tap on the teamXBMC source. Tap on the XBMC-iOS icon. 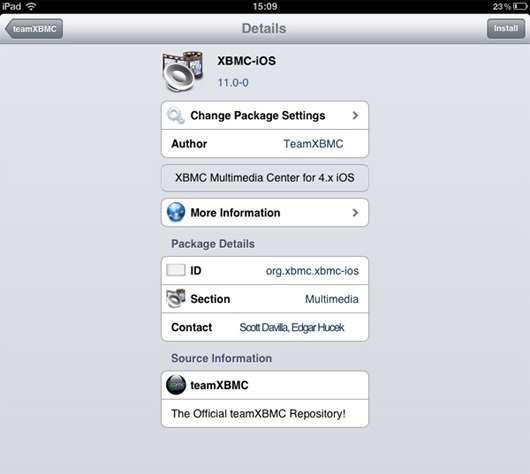 Let XBMC install, then close Cydia. You should now have a new XBMC icon on your screen. Thats it you're done, you should now be running XBMC v12 Frodo for iOS. 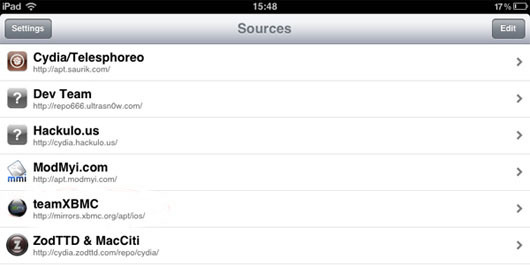 Updates for stable releases of XBMC are handled by Cydia and will show up in the "Changes" section when available.